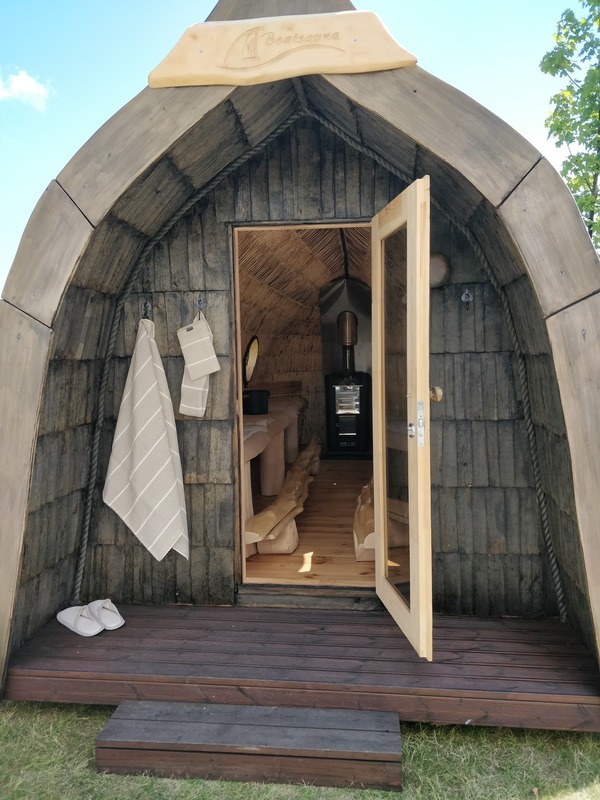 Water hissed on the stones at the Finlandia Hall last week when reporters from all over the world got to experience the real Finnish sauna experience. They came for the meeting of Trump and Putin and were amazed by the press center that was set up for 1400 reporters in total: Finnish food, drinks, design, and a real sauna experience were something completely different from the usual ”water and coffee”. 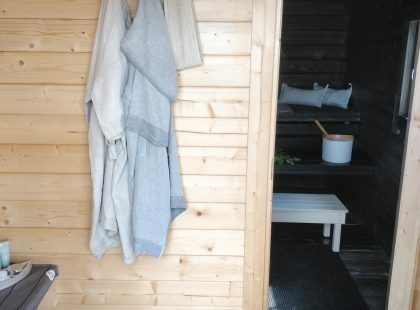 For the sauna experience Woltti Group delivered a sauna built inside of a container, which had everything necessary. In addition to a shower and a dressing rooms sauna bathers got towels, bench covers, sauna pillows, and pails, and they got to test different kinds of cosmetic products and, of course, birch whisks. The sauna had also been decorated with stove stones and thermometers, and the lounge area included cozy blankets and pillows. At the lounge area sauna bathers got to sit down on Finnish design chairs while cooling off and reading more information about the Finnish sauna from the book Sauna – the Finnish way of Life. Finlandia Hall also had couple of other saunas that served as showrooms for the reporters. 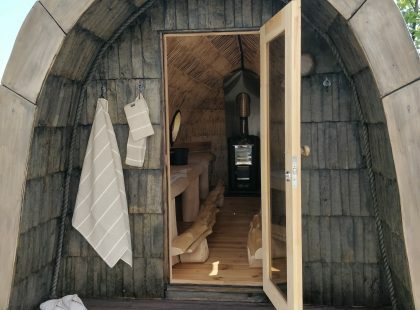 Boatsauna and a small yard sauna were kept unheated so the reporters could explore them while broadcasting to their homeland and interviewing experts. These saunas also had products of Sauna from Finland members which awoke a lot of interest among the reporters. Saunas were constantly occupied when reporters dressed up in bathrobes and sat down on the benches with a birch whisk in their hand to talk about the latest news of the day. Elina Heininen from Sauna from Finland was working at the saunas during the summit. 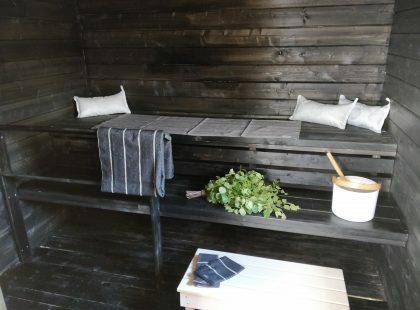 She told the reporters about the Finnish sauna experience and culture, and received a lot of questions: many wanted to know, what’s the Finnish sauna like, how does it differ from the other saunas, and how one should do the Finnish sauna. Cameras were flashing and rolling both in inside and outside of the saunas. 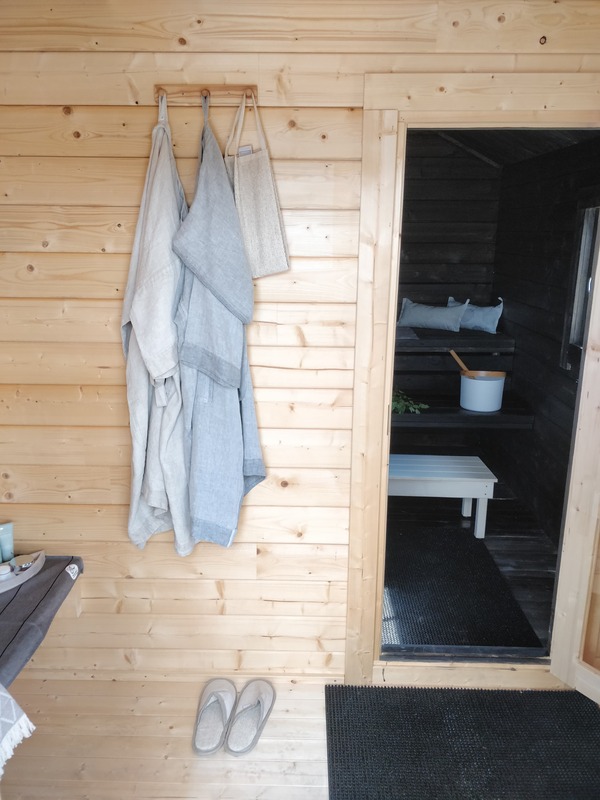 – I emphazised the comprehensiveness of the Finnish sauna – it matters what you do before, during, and after the sauna, and that sauna products are an essential part of the whole process. I also told the reporters that the Finnish sauna doesn’t really have any rules about how long one should stay in the sauna or how often to throw water on the stones. The most important thing is to listen to your own body and go with the flow, says Elina. The press center was open around the clock, and the sauna was heated from noon to midnight. During the couple of days approximately over 100 bathers visited the sauna. Besides from Finland, the bathers represented countries such as Germany, Russia, Portugal, Poland, Australia, Great Britain, USA, and Taiwan. – The feedback we received was amazing. 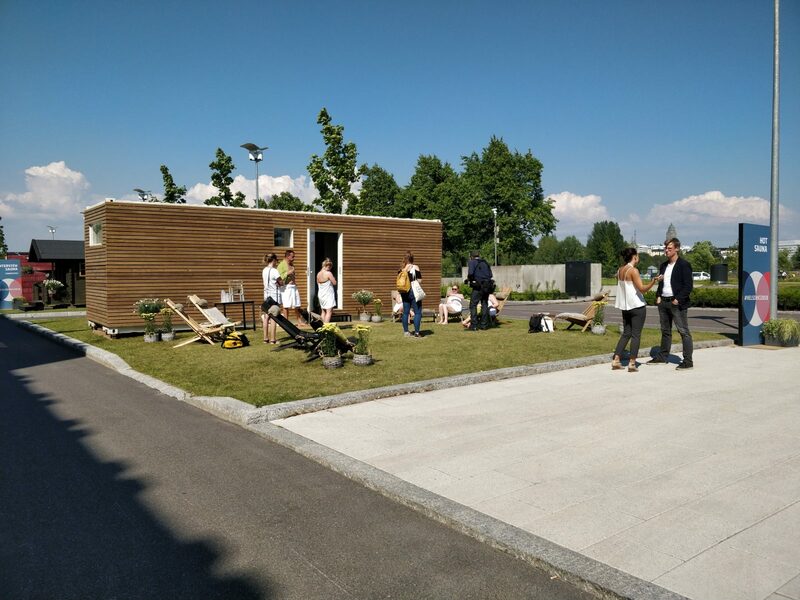 Everyone was excited about the possibility to go to sauna and test different products on the back yard of Finlandia Hall. The atmosphere was great, and we received many compliments and thanks from the visitors. One German reporter repeatedly mentioned that he has never experienced something like this before. Both the domestic and international media reported about the saunas. You can find stories from social media with the hashtag #Helsinki2018. The press center sauna experience was built in co-operation with the following Sauna from Finland member companies: Ecofurn, Lumene, Osmia, Lapuan Kankurit, Jokipiin Pellava, Woltti Group, KOLO Sauna, Hukka Design, Narvi, Harvia, Boatsauna ja Höyry Löyly. In addition Sauna from Finland co-operated with the Ministry of Foreign Affairs and Helsinki Marketing.